This is a goofy photo of a close up of a horse's face named Strings. This horse is looking over a brown fence right at the camera on a beautiful sunny day. 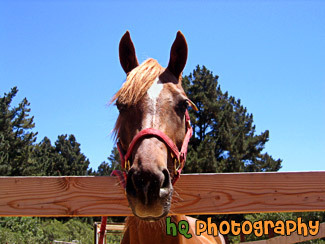 This horse was located on a ranch in Half Moon Bay, California.